Enjoy some of Brighton’s finest art throughout the city. This weekend rounds off a wonderful month of our local artists showcasing their art in their very own houses. The open houses run throughout the city, running from Newhaven as far as West Hove. Viewings are free and no prior booking is required (though donations are welcome! ), so get out their and enjoy Brighton’s open houses for the last time this year. A wonderful combination of acrobatics, comedy, dancing and singing to create a breathtaking variety show inspired by Montmartre’s sinister cabaret underworld. Winner of London Cabaret Awards 2014 – Best Production, dubbed by the Metro as ‘A show that’s as sinister as it is glamorous’ this is something not to miss. Heard of the Brief boys? Expect Disco dancing, mischief and scandalous moves. Enjoy the ‘Briefs boys‘ as they showcase their very alternative circus and burlesque skills, if you’re feeling adventurous you could even flaunt some moves of your own. This club night has become something of a touring sensation so boogie with the briefs while they’re here! Salacious Sirens, Friday 27th May 11pm. The Sirens really do send out warning signals. The legendary sirens, come to the seaside once again. Be prepared for a beautifully presented combination of burlesque, slapstick and poetry as the Salacious Sirens take us through their tale. If you were lucky enough to see last weeks performance then don’t think twice about coming back especially due to the promise of a different guest band at each of the three performances for the Fringe. Eureka! Let’s go see Comedy in the Dark – said everybody ever. Catch the fringe festival’s final production, described by Time Out as ‘Destined to become one of the most talked about shows’ this show’s final night comes after sell-out runs throughout Europe. Comedy in the Dark? It’s literally what it says on the tin, with the performances being in pitch black. The likes of Jon Richardson, Reginald D Hunter, Kevin Bridges, Sarah Millican and Brighton’s own Sean Walsh have previously performed. One for the young families here. Following on from its 2013/2014 sell out the Baby Disco is back! Brighton’s family dance party returns as club DJs mix summer tunes to ramp this party up. It’s not just a bit of dayclubbing here but dancefloor games, giveaways, and a selfie booth as well as a play area to keep your young ones attention from drifting away. Do dress for it the theme of course is beach party! Think Hawaiian shirts, hula skirts even a fully licensed beach bar (for you grown ups) to keep you alert. Last week we even got a special guest, Brighton’s own Norman Cook aka Fatboy Slim! He even came dressed for the occasion sporting a hawaiian shirt of his own. I wonder who may turn up this week? Morgan & West are a Victorian magic duo ready to beguile, bemuse and entertain. Witness their mysterious magic and abundance of seemingly impossible tricks. This mix of mind boggling illusion and old fashioned ‘tom-foolery’ see this dated duo present a show for all the family with its maleficium enchanting all. If you haven’t been to the Komedia for the Krater Comedy Club and you’re from Brighton, where have you been? No time to worry however as this weekend for the Friday evening show (doors open at 7.15pm) the Komedia are giving away a limited number of half price tickets! Simply enter the code ‘bankholfun’ to get the discount at the checkout. Winner of the Chortle Awards 2016 Best Venue in the South this show features Jimmy McGhie, Joe Rowntree, John Hastings and your brilliant au-pair and host for the night Stephen Grant. Don’t miss out! This Saturday visit Preston Park’s Edwardian manor free of charge. This fun interactive day features free tours, access to private areas, exhibitions and even the prospect of a cream tea. Enjoy the beautiful manor and its surrounding gardens and immerse yourself in its rich history and story. 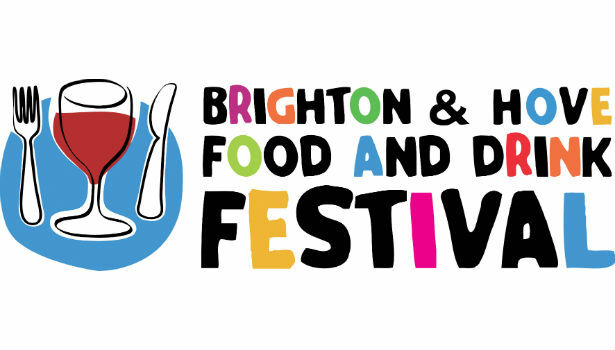 This weekend pop down to hove lawns for Brighton’s FREE food and drink festival. Experience live food shows and demonstrations, wine sampling, a beach BBQ kick off and of course tasters galore. This promises to be a weekend of great food, drink and atmosphere so ensure you become part of it. There will be 80+ stall holders in attendance so there’s sure to be something for everyone. Free,visit http://content.yudu.com/Library/A3z4bu/BrightonampHoveFooda/resources/index.htm?referrerUrl=http%3A%2F%2Ffree.yudu.com%2Fitem%2Fdetails%2F3713371%2FBrighton—Hove-Food-and-Drink-Festival-Spring-2016 to view the brochure.